An explosion of colour and night sky fills with glowing light spectacles that will have all your event attendees in awe. 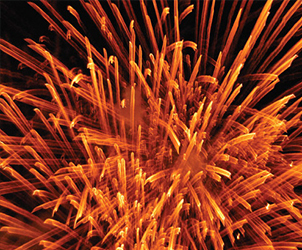 We can provide you with jaw-dropping fireworks and pyrotechnics for your event. Our pyrotechnics experts can raise the bar of your event using new techniques such as: airburst, flame projectors, aerial fireworks, flares, strobes, comets, or dancing water fountains in all colors, calibers, and shapes.